Tooth Fairy Tuesday | Who Are You Calling Crafty? Showing me her tooth or lack there of. 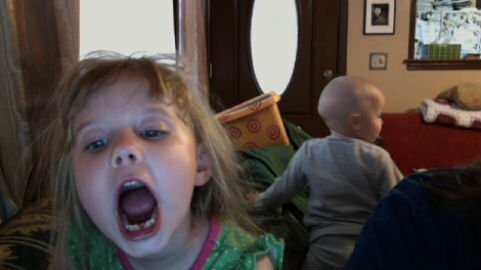 Showing her tooth off for the web cam. 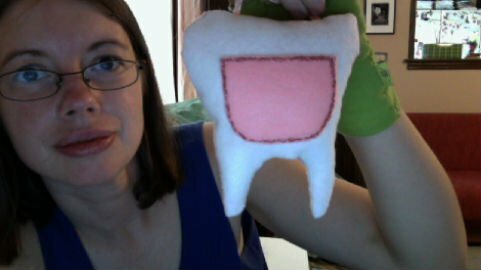 The tooth pillow we made so we could hang it on the outside of the door. Our Tooth Fairy is not very graceful – lol. I will put the pattern up soon. UPDATED: Want to make your own Tooth Fairy Pillow. Download your pattern here!